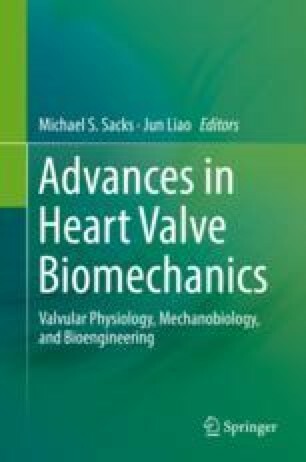 Heart valves are elegant, dynamic, pliable structures experiencing complex and varied mechanical forces during development and throughout the course of their postnatal lifetime. Recent work has shown a remarkable link between the mechanical environment of these valve leaflets and their structure, function, and biological behavior. Additionally, these mechanobiological responses, while being regulated by a similar set of signaling pathways, may be very different depending on their occurrence during valvulogenesis or during adulthood. This chapter reviews what is currently known about these differentially mechanoregulated signaling pathways in the heart valve, highlighting any gaps in knowledge.